LEGAL NOTICESPlease read this section carefully before you proceed to use the website. © Copyright Trigya Technologies Pvt Ltd. 2019. All rights reserved. Reproduction, adaptation, or translation without permission is prohibited except as allowed under the International copyright laws. All the text, graphics, design, content, and other works are the copyrighted works of Trigya Corporation. Welcome to the Web site of cloudmantra a Registered Trademark of Trigya Technologies Pvt Ltd hereinafter referred to as “Trigya” (http://www.trigya.tech ). Use of this site i.e. www.cloudmantra.net is governed by the Terms and Conditions set forth. PLEASE READ THESE TERMS AND CONDITIONS CAREFULLY BEFORE USING THIS WEB SITE. The information and materials provided by TRIGYA may be used for informational purposes only. By using, accessing or downloading materials from this Web site you agree to follow the terms and provisions as outlined in this legal notice, which apply to all visits to the TRIGYA Web site, both now and in the future. TRIGYA may at anytime revise and update the Terms and Conditions. You are encouraged to periodically visit this page to review the most current Terms and Conditions to which you are bound. If you do not agree to these Terms and Condition of Use, please do not use this Web site. You may view, download and copy information and materials available on this Web site solely for your personal, non-commercial use. You may also use such material within your organization in connection with the support of TRIGYA’s products. As a condition of use, you agree not to modify or revise any of the material in any manner, and to retain all copyright and other proprietary notices as contained in the original materials on any copies of the materials. No other use of the materials or information is authorized. Any violation of the foregoing may result in civil and/or criminal liabilities. The information and any materials (including white papers, press releases, data sheets, product descriptions, and FAQs) available on or from this Web site are the copyrighted works of TRIGYA, and any unauthorized use of that information or materials may violate copyright, trademark and other laws. cloudmantra trademark may be used only with written permission from TRIGYA Technologies Pvt Ltd. CLOUDMANTRA, Stackiton, and Vikrio are registered trademarks or trademarks of TRIGYA Technologies Pvt Ltd. All other trademarks, brands, and names are the property of their respective owners. Except as expressly specified in these terms and legal restrictions, nothing contained herein shall be construed as conferring by implication, estoppel or otherwise any license or right under any patent, trademark, copyright or any proprietary rights of TRIGYA or any third party. As a convenience and to make the www.cloudmantra.net Web site truly service oriented we have included links to complementary sites on the Internet. These sites are owned and operated by third parties. TRIGYA makes no representation and is not responsible for the availability of, or content located on or through, these third party sites. A third party link from the TRIGYA Web site is not an indication that TRIGYA endorses the third party or its site, or has any affiliation with or between TRIGYA and the third party hosting site. All comments, feedback, information or materials submitted to TRIGYA through or in association with this Web site shall be considered non-confidential and TRIGYA’s property. By submitting such comments, information, feedback, or materials to TRIGYA, you agree to a no-charge assignment to TRIGYA of worldwide rights to use, copy, modify, display and distribute the submissions. TRIGYA may use such comments, information or materials in any way it chooses in an unrestricted basis. The TRIGYA Internet team strives to provide you with useful, accurate, and timely information on this Web site. Accordingly, TRIGYA has attempted to provide accurate information and materials on this Web site but assumes no responsibility for the accuracy and completeness of that information or materials. TRIGYA may change the content of any information or materials available at this Web site, or to the products described in them, at any time without notice. However, TRIGYA makes no commitment to update the information or materials on this Web site which, as a result, may be out of date. Information and opinions expressed in bulletin boards or other forums are not necessarily those of TRIGYA. Neither TRIGYA, nor its officers, directors, employees, agents, distributors, or affiliates are responsible or liable for any loss damage (including, but not limited to, actual, consequential, or punitive), liability, claim, or other injury or cause related to or resulting from any information posted on TRIGYA’s Web site. TRIGYA reserves the right to revise these terms and/or legal restrictions at any time. You are responsible for reviewing this page from time to time to ensure compliance with the then-current terms and legal restrictions because they will be binding on you. Certain provisions of these terms and legal restrictions may be superseded by expressly designated legal notices or terms located on particular pages of this Web site. ALL INFORMATION AND MATERIALS AVAILABLE AT THIS WEB SITE ARE PROVIDED “AS IS” WITHOUT ANY WARRANTIES OF ANY KIND, EITHER EXPRESS OR IMPLIED, AND TRIGYA DISCLAIMS ALL WARRANTIES OF ANY KIND, EITHER EXPRESS OR IMPLIED, INCLUDING WARRANTIES OF MERCHANTABILITY, FITNESS FOR A PARTICULAR PURPOSE, NON-INFRINGEMENT OF INTELLECTUAL PROPERTY OR ARISING FROM A COURSE OF DEALING, USAGE OR TRADE PRACTICE. IN NO EVENT SHALL TRIGYA BE LIABLE FOR ANY DAMAGES WHATSOEVER (INCLUDING, WITHOUT LIMITATION, INDIRECT, SPECIAL, CONSEQUENTIAL OR INCIDENTAL DAMAGES OR THOSE RESULTING FROM LOST PROFITS, LOST DATA OR BUSINESS INTERRUPTION) ARISING OUT OF THE USE, INABILITY TO USE, OR THE RESULTS OF USE OF THIS WEB SITE, ANY WEB SITES LINKED TO THIS WEB SITE, OR THE MATERIALS OR INFORMATION CONTAINED AT ANY OR ALL SUCH WEB SITES, WHETHER BASED ON WARRANTY, CONTRACT, TORT OR ANY OTHER LEGAL THEORY AND WHETHER OR NOT ADVISED OF THE POSSIBILITY OF SUCH DAMAGES. IF YOUR USE OF THE MATERIALS OR INFORMATION ON THIS WEB SITE RESULTS IN THE NEED FOR SERVICING, REPAIR OR CORRECTION OF EQUIPMENT OR DATA, YOU ASSUME ALL COSTS THEREOF. TRIGYA may, in its sole discretion, terminate or suspend your access to all or part of the TRIGYA Web site, including, but not limited to any bulletin boards on its site, for any reason, including without limitation, breach of this agreement. In the event this agreement is terminated, the restrictions regarding materials appearing on the site and the representations and warranties, indemnities, and limitation of liabilities set forth in this agreement shall survive any such termination. This Agreement shall be governed by and construed in accordance with the laws of the Republic of India exclusive of its choice of law principles. The Pune District courts shall have exclusive jurisdiction and venue over any dispute arising out of or relating to this Agreement, and each party hereby consents to the jurisdiction and venue of such courts. If any provision of this agreement is deemed void, unlawful or otherwise unenforceable for any reason, that provision shall be severed from this agreement and the remaining provisions of this agreement shall remain in force. This contains the entire agreement between you and TRIGYA concerning your use of the site, and the agreement shall not be modified, except in writing, signed by both parties. If you have questions regarding TRIGYA’s Terms and Conditions, please email: info@trigya.tech. A. This Agreement, which incorporates by reference other provisions applicable to use of www.cloudmantra.net, including, but not limited to, supplemental terms and conditions set forth hereof (“Supplemental Terms”) governing the use of certain specific material contained in www.cloudmantra.net, sets forth the terms and conditions that apply to use of www.cloudmantra.net by User. By using Trigya Technologies Pvt Ltd (other than to read this Agreement for the first time), User agrees to comply with all of the terms and conditions hereof. The right to use www.cloudmantra.net is personal to User and is not transferable to any other person or entity. User is responsible for all use of User’s Account (under any screen name or password) and for ensuring that all use of User’s Account complies fully with the provisions of this Agreement. User shall be responsible for protecting the confidentiality of User’s password(s), if any. B. Trigya Technologies Pvt Ltd shall have the right at any time to change or discontinue any aspect or feature of www.cloudmantra.net, including, but not limited to, content, hours of availability, and equipment needed for access or use. Trigya Technologies Pvt Ltd shall have the right at any time to change or modify the terms and conditions applicable to User’s use of www.cloudmantra.net, or any part thereof, or to impose new conditions, including, but not limited to, adding fees and charges for use. Such changes, modifications, additions or deletions shall be effective immediately upon notice thereof, which may be given by means including, but not limited to, posting on www.cloudmantra.net, or by electronic or conventional mail, or by any other means by which User obtains notice thereof. Any use of www.cloudmantra.net by User after such notice shall be deemed to constitute acceptance by User of such changes, modifications or additions. Through its Web property, Trigya Technologies Pvt Ltd provides User with access to a variety of resources, including download areas, communication forums and product information (collectively “Services”). The Services, including any updates, enhancements, new features, and/or the addition of any new Web properties, are subject to the TOU. User shall be responsible for obtaining and maintaining all telephone, computer hardware, software and other equipment needed for access to and use of www.cloudmantra.net and all charges related thereto. A. User shall use www.cloudmantra.net for lawful purposes only. User shall not post or transmit through www.cloudmantra.net any material which violates or infringes in any way upon the rights of others, which is unlawful, threatening, abusive, defamatory, invasive of privacy or publicity rights, vulgar, obscene, profane or otherwise objectionable, which encourages conduct that would constitute a criminal offense, give rise to civil liability or otherwise violate any law, or which, without Trigya Technologies Pvt Ltd ‘s express prior approval, contains advertising or any solicitation with respect to products or services. Any conduct by a User that in Trigya Technologies Pvt Ltd ‘s discretion restricts or inhibits any other User from using or enjoying www.cloudmantra.net will not be permitted. User shall not use www.cloudmantra.net to advertise or perform any commercial solicitation, including, but not limited to, the solicitation of users to become subscribers of other on-line information services competitive with Trigya Technologies Pvt Ltd .
B. www.cloudmantra.net contains copyrighted material, trademarks and other proprietary information, including, but not limited to, text, software, photos, video, graphics, music and sound, and the entire contents of www.cloudmantra.net are copyrighted as a collective work under the [COUNTRY] copyright laws. Trigya Technologies Pvt Ltd owns a copyright in the selection, coordination, arrangement and enhancement of such content, as well as in the content original to it. User may not modify, publish, transmit, participate in the transfer or sale, create derivative works, or in any way exploit, any of the content, in whole or in part. User may download copyrighted material for User’s personal use only. Except as otherwise expressly permitted under copyright law, no copying, redistribution, retransmission, publication or commercial exploitation of downloaded material will be permitted without the express permission of Trigya Technologies Pvt Ltd and the copyright owner. In the event of any permitted copying, redistribution or publication of copyrighted material, no changes in or deletion of author attribution, trademark legend or copyright notice shall be made. User acknowledges that it does not acquire any ownership rights by downloading copyrighted material. C. User shall not upload, post or otherwise make available on www.cloudmantra.net any material protected by copyright, trademark or other proprietary right without the express permission of the owner of the copyright, trademark or other proprietary right and the burden of determining that any material is not protected by copyright rests with User. User shall be solely liable for any damage resulting from any infringement of copyrights, proprietary rights, or any other harm resulting from such a submission. By submitting material to any public area of www.cloudmantra.net, User automatically grants, or warrants that the owner of such material has expressly granted Trigya Technologies Pvt Ltd the royalty-free, perpetual, irrevocable, non-exclusive right and license to use, reproduce, modify, adapt, publish, translate and distribute such material (in whole or in part) worldwide and/or to incorporate it in other works in any form, media or technology now known or hereafter developed for the full term of any copyright that may exist in such material. User also permits any other User to access, view, store or reproduce the material for that User’s personal use. User hereby grants Trigya Technologies Pvt Ltd the right to edit, copy, publish and distribute any material made available on www.cloudmantra.net by User. D. The foregoing provisions of Section 5 are for the benefit of Trigya Technologies Pvt Ltd, its subsidiaries, affiliates and its third party content providers and licensors and each shall have the right to assert and enforce such provisions directly or on its own behalf. Trigya Technologies Pvt Ltd has no obligation to monitor the Communication Services. However, Trigya Technologies Pvt Ltd reserves the right to review materials posted to the Communication Services and to remove any materials in its sole discretion. Trigya Technologies Pvt Ltd reserves the right to terminate User’s access to any or all of the Communication Services at any time, without notice, for any reason whatsoever. Trigya Technologies Pvt Ltd reserves the right at all times to disclose any information as it deems necessary to satisfy any applicable law, regulation, legal process or governmental request, or to edit, refuse to post or to remove any information or materials, in whole or in part, in Trigya Technologies Pvt Ltd’s sole discretion. Always use caution when giving out any personally identifiable information in any Communication Services. Trigya Technologies Pvt Ltd does not control or endorse the content, messages or information found in any Communication Services and, therefore, Trigya Technologies Pvt Ltd specifically disclaims any liability with regard to the Communication Services and any actions resulting from User’s participation in any Communication Services. Managers and hosts are not authorized Trigya Technologies Pvt Ltd spokespersons, and their views do not necessarily reflect those of Trigya Technologies Pvt Ltd. If any of the Services requires User to open an account, User must complete the registration process by providing Trigya Technologies Pvt Ltd with current, complete and accurate information as prompted by the applicable registration form. User also will choose a password and a user name. User is entirely responsible for maintaining the confidentiality of User’s password and account. Furthermore, User is entirely responsible for any and all activities that occur under User’s account. User agrees to notify Trigya Technologies Pvt Ltd immediately of any unauthorized use of User’s account or any other breach of security. Trigya Technologies Pvt Ltd will not be liable for any loss that User may incur as a result of someone else using User’s password or account, either with or without User’s knowledge. However, User could be held liable for losses incurred by Trigya Technologies Pvt Ltd or another party due to someone else using User’s account or password. User may not use anyone else’s account at any time, without the permission of the account holder. Any software that is made available to download from the Services (“Software”) is the copyrighted work of Trigya Technologies Pvt Ltd and/or its suppliers. Use of the Software is governed by the terms of the end user license agreement, if any, which accompanies or is included with the Software (“License Agreement”). An end user will be unable to install any Software that is accompanied by or includes a License Agreement, unless he or she first agrees to the License Agreement terms. WITHOUT LIMITING THE FOREGOING, COPYING OR REPRODUCTION OF THE SOFTWARE TO ANY OTHER SERVER OR LOCATION FOR FURTHER REPRODUCTION OR REDISTRIBUTION IS EXPRESSLY PROHIBITED, UNLESS SUCH REPRODUCTION OR REDISTRIBUTION IS EXPRESSLY PERMITTED BY THE LICENSE AGREEMENT ACCOMPANYING SUCH SOFTWARE. THE SOFTWARE IS WARRANTED, IF AT ALL, ONLY ACCORDING TO THE TERMS OF THE LICENSE AGREEMENT. EXCEPT AS WARRANTED IN THE LICENSE AGREEMENT, Trigya Technologies Pvt Ltd HEREBY DISCLAIMS ALL WARRANTIES AND CONDITIONS WITH REGARD TO THE SOFTWARE, INCLUDING ALL WARRANTIES AND CONDITIONS OF MERCHANTABILITY, WHETHER EXPRESS, IMPLIED OR STATUTORY, FITNESS FOR A PARTICULAR PURPOSE, TITLE AND NON-INFRINGEMENT. FOR YOUR CONVENIENCE, Trigya Technologies Pvt Ltd MAY MAKE AVAILABLE AS PART OF THE SERVICES OR IN ITS SOFTWARE PRODUCTS, TOOLS AND UTILITIES FOR USE AND/OR DOWNLOAD. Trigya Technologies Pvt Ltd DOES NOT MAKE ANY ASSURANCES WITH REGARD TO THE ACCURACY OF THE RESULTS OR OUTPUT THAT DERIVES FROM SUCH USE OF ANY SUCH TOOLS AND UTILITIES. PLEASE RESPECT THE INTELLECTUAL PROPERTY RIGHTS OF OTHERS WHEN USING THE TOOLS AND UTILITIES MADE AVAILABLE ON THE SERVICES. Trigya Technologies Pvt Ltd AND/OR ITS RESPECTIVE SUPPLIERS MAKE NO REPRESENTATIONS ABOUT THE SUITABILITY OF THE INFORMATION CONTAINED IN THE DOCUMENTS AND RELATED GRAPHICS PUBLISHED AS PART OF THE SERVICES FOR ANY PURPOSE. ALL SUCH DOCUMENTS AND RELATED GRAPHICS ARE PROVIDED “AS IS” WITHOUT WARRANTY OF ANY KIND. Trigya Technologies Pvt Ltd AND/OR ITS RESPECTIVE SUPPLIERS HEREBY DISCLAIM ALL WARRANTIES AND CONDITIONS WITH REGARD TO THIS INFORMATION, INCLUDING ALL WARRANTIES AND CONDITIONS OF MERCHANTABILITY, WHETHER EXPRESS, IMPLIED OR STATUTORY, FITNESS FOR A PARTICULAR PURPOSE, TITLE AND NON-INFRINGEMENT. IN NO EVENT SHALL Trigya Technologies Pvt Ltd AND/OR ITS RESPECTIVE SUPPLIERS BE LIABLE FOR ANY SPECIAL, INDIRECT OR CONSEQUENTIAL DAMAGES OR ANY DAMAGES WHATSOEVER RESULTING FROM LOSS OF USE, DATA OR PROFITS, WHETHER IN AN ACTION OF CONTRACT, NEGLIGENCE OR OTHER TORTIOUS ACTION, ARISING OUT OF OR IN CONNECTION WITH THE USE OR PERFORMANCE OF INFORMATION AVAILABLE FROM THE SERVICES. THE DOCUMENTS AND RELATED GRAPHICS PUBLISHED ON THE SERVICES COULD INCLUDE TECHNICAL INACCURACIES OR TYPOGRAPHICAL ERRORS. CHANGES ARE PERIODICALLY ADDED TO THE INFORMATION HEREIN. Trigya Technologies Pvt Ltd AND/OR ITS RESPECTIVE SUPPLIERS MAY MAKE IMPROVEMENTS AND/OR CHANGES IN THE PRODUCT(S) AND/OR THE PROGRAM(S) DESCRIBED HEREIN AT ANY TIME. IN NO EVENT SHALL Trigya Technologies Pvt Ltd AND/OR ITS RESPECTIVE SUPPLIERS BE LIABLE FOR ANY SPECIAL, INDIRECT OR CONSEQUENTIAL DAMAGES OR ANY DAMAGES WHATSOEVER RESULTING FROM LOSS OF USE, DATA OR PROFITS, WHETHER IN AN ACTION OF CONTRACT, NEGLIGENCE OR OTHER TORTIOUS ACTION, ARISING OUT OF OR IN CONNECTION WITH THE USE OR PERFORMANCE OF SOFTWARE, DOCUMENTS, PROVISION OF OR FAILURE TO PROVIDE SERVICES, OR INFORMATION AVAILABLE FROM THE SERVICES. Trigya Technologies Pvt Ltd does not claim ownership of the materials User provide to Trigya Technologies Pvt Ltd (including feedback and suggestions) or post, upload, input or submit to any Services or its associated services for review by the general public, or by the members of any public or private community, (each a “Submission” and collectively “Submissions”). However, by posting, uploading, inputting, providing or submitting (“Posting”) User’s Submission User is granting Trigya Technologies Pvt Ltd, its affiliated companies and necessary sublicensees permission to use User’s Submission in connection with the operation of their Internet businesses (including, without limitation, all Trigya Technologies Pvt Ltd Services), including, without limitation, the license rights to: copy, distribute, transmit, publicly display, publicly perform, reproduce, edit, translate and reformat User’s Submission; to publish User’s name in connection with User’s Submission; and the right to sublicense such rights to any supplier of the Services. A. USER EXPRESSLY AGREES THAT USE OF WWW.CLOUDMANTRA.NET IS AT USER’S SOLE RISK. NEITHER TRIGYA TECHNOLOGIES PVT LTD, ITS AFFILIATES NOR ANY OF THEIR RESPECTIVE EMPLOYEES, AGENTS, THIRD PARTY CONTENT PROVIDERS OR LICENSORS WARRANT THAT WWW.CLOUDMANTRA.NET WILL BE UNINTERRUPTED OR ERROR FREE; NOR DO THEY MAKE ANY WARRANTY AS TO THE RESULTS THAT MAY BE OBTAINED FROM USE OF WWW.CLOUDMANTRA.NEt, OR AS TO THE ACCURACY, RELIABILITY OR CONTENT OF ANY INFORMATION, SERVICE, OR MERCHANDISE PROVIDED THROUGH WWW.CLOUDMANTRA.NET. B. WWW.CLOUDMANTRA.NET IS PROVIDED ON AN “AS IS” BASIS WITHOUT WARRANTIES OF ANY KIND, EITHER EXPRESS OR IMPLIED, INCLUDING, BUT NOT LIMITED TO, WARRANTIES OF TITLE OR IMPLIED WARRANTIES OF MERCHANTABILITY OR FITNESS FOR A PARTICULAR PURPOSE, OTHER THAN THOSE WARRANTIES WHICH ARE IMPLIED BY AND INCAPABLE OF EXCLUSION, RESTRICTION OR MODIFICATION UNDER THE LAWS APPLICABLE TO THIS AGREEMENT. C. THIS DISCLAIMER OF LIABILITY APPLIES TO ANY DAMAGES OR INJURY CAUSED BY ANY FAILURE OF PERFORMANCE, ERROR, OMISSION, INTERRUPTION, DELETION, DEFECT, DELAY IN OPERATION OR TRANSMISSION, COMPUTER VIRUS, COMMUNICATION LINE FAILURE, THEFT OR DESTRUCTION OR UNAUTHORIZED ACCESS TO, ALTERATION OF, OR USE OF RECORD, WHETHER FOR BREACH OF CONTRACT, TORTIOUS BEHAVIOR, NEGLIGENCE, OR UNDER ANY OTHER CAUSE OF ACTION. USER SPECIFICALLY ACKNOWLEDGES THAT TRIGYA TECHNOLOGIES PVT LTD IS NOT LIABLE FOR THE DEFAMATORY, OFFENSIVE OR ILLEGAL CONDUCT OF OTHER USERS OR THIRD-PARTIES AND THAT THE RISK OF INJURY FROM THE FOREGOING RESTS ENTIRELY WITH USER. D. IN NO EVENT WILL TRIGYA TECHNOLOGIES PVT LTD, OR ANY PERSON OR ENTITY INVOLVED IN CREATING, PRODUCING OR DISTRIBUTING WWW.CLOUDMANTRA.NET OR THE TRIGYA TECHNOLOGIES PVT LTD SOFTWARE, BE LIABLE FOR ANY DAMAGES, INCLUDING, WITHOUT LIMITATION, DIRECT, INDIRECT, INCIDENTAL, SPECIAL, CONSEQUENTIAL OR PUNITIVE DAMAGES ARISING OUT OF THE USE OF OR INABILITY TO USE WWW.CLOUDMANTRA.NET. USER HEREBY ACKNOWLEDGES THAT THE PROVISIONS OF THIS SECTION SHALL APPLY TO ALL CONTENT ON THE SITE. E. IN ADDITION TO THE TERMS SET FORTH ABOVE NEITHER, TRIGYA TECHNOLOGIES PVT LTD, NOR ITS AFFILIATES, INFORMATION PROVIDERS OR CONTENT PARTNERS SHALL BE LIABLE REGARDLESS OF THE CAUSE OR DURATION, FOR ANY ERRORS, INACCURACIES, OMISSIONS, OR OTHER DEFECTS IN, OR UNTIMELINESS OR UNAUTHENTICITY OF, THE INFORMATION CONTAINED WITHIN WWW.CLOUDMANTRA.NET, OR FOR ANY DELAY OR INTERRUPTION IN THE TRANSMISSION THEREOF TO THE USER, OR FOR ANY CLAIMS OR LOSSES ARISING THEREFROM OR OCCASIONED THEREBY. NONE OF THE FOREGOING PARTIES SHALL BE LIABLE FOR ANY THIRD-PARTY CLAIMS OR LOSSES OF ANY NATURE, INCLUDING, BUT NOT LIMITED TO, LOST PROFITS, PUNITIVE OR CONSEQUENTIAL DAMAGES. F. PRIOR TO THE EXECUTION OF A STOCK TRADE, USERS ARE ADVISED TO CONSULT WITH YOUR BROKER OR OTHER FINANCIAL REPRESENTATIVE TO VERIFY PRICING OR OTHER INFORMATION. TRIGYA TECHNOLOGIES PVT LTD, ITS AFFILIATES, INFORMATION PROVIDERS OR CONTENT PARTNERS SHALL HAVE NO LIABILITY FOR INVESTMENT DECISIONS BASED ON THE INFORMATION PROVIDED. NEITHER, TRIGYA TECHNOLOGIES PVT LTD, NOR ITS AFFILIATES, INFORMATION PROVIDERS OR CONTENT PARTNERS WARRANT OR GUARANTEE THE TIMELINESS, SEQUENCE, ACCURACY OR COMPLETENESS OF THIS INFORMATION. ADDITIONALLY, THERE ARE NO WARRANTIES AS TO THE RESULTS OBTAINED FROM THE USE OF THE INFORMATION. THE LINKS IN THIS AREA WILL LET YOU LEAVE TRIGYA TECHNOLOGIES PVT LTD’S SITE. THE LINKED SITES ARE NOT UNDER THE CONTROL OF TRIGYA TECHNOLOGIES PVT LTD AND TRIGYA TECHNOLOGIES PVT LTD IS NOT RESPONSIBLE FOR THE CONTENTS OF ANY LINKED SITE OR ANY LINK CONTAINED IN A LINKED SITE, OR ANY CHANGES OR UPDATES TO SUCH SITES. TRIGYA TECHNOLOGIES PVT LTD IS NOT RESPONSIBLE FOR WEBCASTING OR ANY OTHER FORM OF TRANSMISSION RECEIVED FROM ANY LINKED SITE. TRIGYA TECHNOLOGIES PVT LTD IS PROVIDING THESE LINKS TO YOU ONLY AS A CONVENIENCE, AND THE INCLUSION OF ANY LINK DOES NOT IMPLY ENDORSEMENT BY TRIGYA TECHNOLOGIES PVT LTD OF THE SITE. Trigya Technologies Pvt Ltd is a distributor (and not a publisher) of content supplied by third parties and Users. Accordingly, Trigya Technologies Pvt Ltd has no more editorial control over such content than does a public library, bookstore, or newsstand. 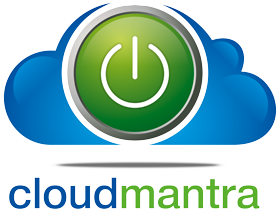 Any opinions, advice, statements, services, offers, or other information or content expressed or made available by third parties, including information providers, Users or any other user of www.cloudmantra.net, are those of the respective author(s) or distributor(s) and not of Trigya Technologies Pvt Ltd. Neither Trigya Technologies Pvt Ltd nor any third-party provider of information guarantees the accuracy, completeness, or usefulness of any content, nor its merchantability or fitness for any particular purpose. In many instances, the content available through www.cloudmantra.net represents the opinions and judgments of the respective information provider, User, or other user not under contract with Trigya Technologies Pvt Ltd. Trigya Technologies Pvt Ltd neither endorses nor is responsible for the accuracy or reliability of any opinion, advice or statement made on www.cloudmantra.net by anyone other than authorized Trigya Technologies Pvt Ltd employee spokespersons while acting in their official capacities. Under no circumstances will Trigya Technologies Pvt Ltd be liable for any loss or damage caused by a User’s reliance on information obtained through www.cloudmantra.net. It is the responsibility of User to evaluate the accuracy, completeness or usefulness of any information, opinion, advice or other content available through Trigya Technologies Pvt Ltd. Please seek the advice of professionals, as appropriate, regarding the evaluation of any specific information, opinion, advice or other content. TRIGYA TECHNOLOGIES PVT LTD OR ANY OF ITS EMPLOYEES DO NOT ACCEPT OR CONSIDER UNSOLICITED IDEAS, INCLUDING IDEAS FOR NEW ADVERTISING CAMPAIGNS, NEW PROMOTIONS, NEW PRODUCTS OR TECHNOLOGIES, PROCESSES, MATERIALS, MARKETING PLANS OR NEW PRODUCT NAMES. PLEASE DO NOT SEND ANY ORIGINAL CREATIVE ARTWORK, SAMPLES, DEMOS, OR OTHER WORKS. THE SOLE PURPOSE OF THIS POLICY IS TO AVOID POTENTIAL MISUNDERSTANDINGS OR DISPUTES WHEN TRIGYA TECHNOLOGIES PVT LTD’S PRODUCTS OR MARKETING STRATEGIES MIGHT SEEM SIMILAR TO IDEAS SUBMITTED TO TRIGYA TECHNOLOGIES PVT LTD. SO, PLEASE DO NOT SEND YOUR UNSOLICITED IDEAS TO TRIGYA TECHNOLOGIES PVT LTD OR ANYONE AT TRIGYA TECHNOLOGIES PVT LTD. IF, DESPITE OUR REQUEST THAT YOU NOT SEND US YOUR IDEAS AND MATERIALS, YOU STILL SEND THEM, PLEASE UNDERSTAND THAT TRIGYA TECHNOLOGIES PVT LTD MAKES NO ASSURANCES THAT YOUR IDEAS AND MATERIALS WILL BE TREATED AS CONFIDENTIAL OR PROPRIETARY. Trigya Technologies Pvt Ltd shall have the right, but not the obligation, to monitor the content of www.cloudmantra.net, including chat rooms and forums, to determine compliance with this Agreement and any operating rules established by Trigya Technologies Pvt Ltd and to satisfy any law, regulation or authorized government request. Trigya Technologies Pvt Ltd shall have the right in its sole discretion to edit, refuse to post or remove any material submitted to or posted on www.cloudmantra.net. Without limiting the foregoing, Trigya Technologies Pvt Ltd shall have the right to remove any material that Trigya Technologies Pvt Ltd, in its sole discretion, finds to be in violation of the provisions hereof or otherwise objectionable. User agrees to defend, indemnify and hold harmless Trigya Technologies Pvt Ltd, its affiliates and their respective directors, officers, employees and agents from and against all claims and expenses, including attorneys’ fees, arising out of the use of Trigya Technologies Pvt Ltd by User or User’s Account. Either Trigya Technologies Pvt Ltd or User may terminate this Agreement at any time. Without limiting the foregoing, Trigya Technologies Pvt Ltd shall have the right to immediately terminate User’s Account in the event of any conduct by User which Trigya Technologies Pvt Ltd, in its sole discretion, considers to be unacceptable, or in the event of any breach by User of this Agreement. This Agreement and any operating rules for www.cloudmantra.net established by Trigya Technologies Pvt Ltd constitute the entire agreement of the parties with respect to the subject matter hereof, and supersede all previous written or oral agreements between the parties with respect to such subject matter. This Agreement shall be construed in accordance with the laws of the [STATE/PROVINCE, COUNTRY], without regard to its conflict of laws rules. No waiver by either party of any breach or default hereunder shall be deemed to be a waiver of any preceding or subsequent breach or default. The section headings used herein are for convenience only and shall not be given any legal import. Trigya Technologies Pvt Ltd its logos are trademarks of Trigya Technologies Pvt Ltd Ltd. All rights reserved. All other trademarks appearing on Trigya Technologies Pvt Ltd are the property of their respective owners. If you are “spammed” by anyone regarding our products, services, web site, or any other matters, please report this activity to info@cloudmantra.net.